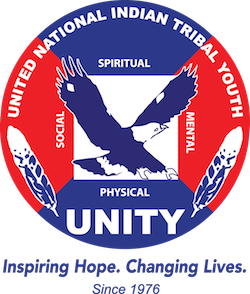 UNITY Youth Help Lead ASU’s Tribal Nations Tour – UNITY, Inc.
What better way to start off the school year, than in service and empowering others to reach for their dreams! UNITY’s 25 Under 25 awardee Lance Sanchez joined ASU’s Office of American Indian Initiatives team to participate in this year’s Tribal Nations Tour last week. 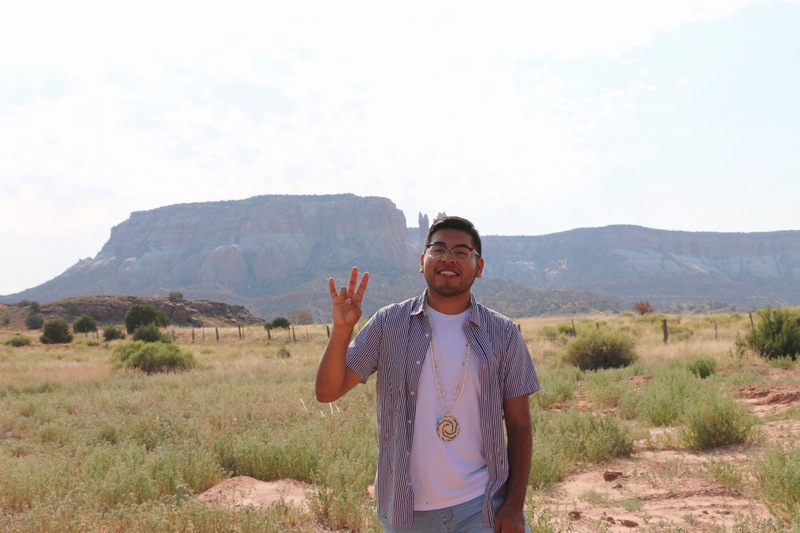 Former National UNITY Council Executive Committee member Lance Sanchez, Tohono O’odham Nation, recently graduated from Tohono O’odham Community College and is starting this Fall Semester as a transfer Junior double majoring in America Indian Studies and Community Advocacy and Social Policy. “Being apart of ASU’s Tribal Nations tour has been really amazing” says Sanchez “Working with other Native ASU students traveling to tribal communities in New Mexico, and speaking on our diverse college experiences has been a wonderful opportunity.” Sanchez continued to explain how “it’s powerful to share with native youth the importance of higher education and the need for more native professionals. I’m so glad to be a part of ASU TNT this year!” Lance was accompanied by other UNITY youth photographed below, including Eric Woody, Navajo, who was former UNITY Earth Ambassador and UNITY 25 Under 25 Awardee Class of 2016. According to their website, the Tribal Nations Tour (TNT) is an outreach/retention program designed to recruit as well as retain American Indian students at Arizona State University. The strength of TNT is having current ASU students present about their experiences at ASU to current high school and middle school students. 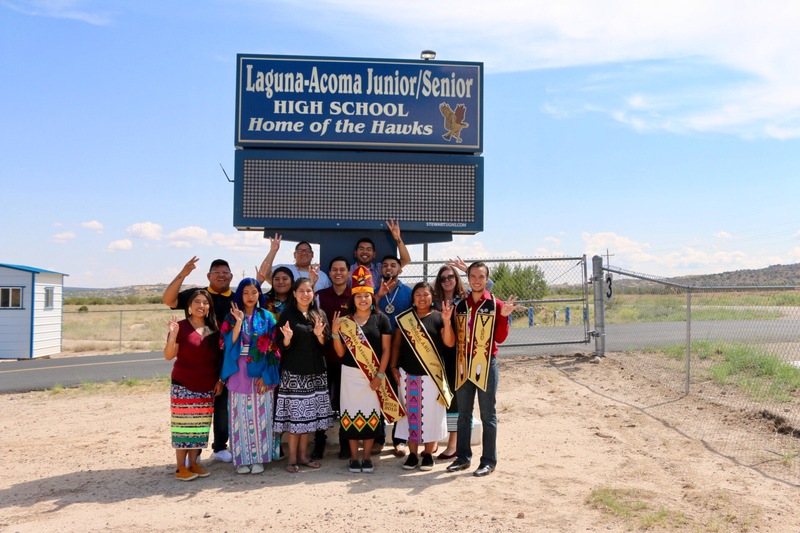 This allows for young American Indian students to hear success stories from those who have lived it. There are many rural communities that do not have the resources to send their students to visit the larger university campuses, but TNT makes it possible for those communities to have access to information about enrollment, financial aid, student resources, and campus life. Throughout the school year, TNT makes small visits to reservation schools and other schools in the Phoenix-metropolitan area that serve American Indian students and hosts AI/AN students visiting ASU campuses. One week before the fall semester begins, TNT travels on a week-long tour, making stops in numerous tribal communities. The tour is meaningful, not only for the communities that TNT visits, but also for the ASU students who participate. They develop their presentation skills, make positive contributions to Native communities and create new bonds with their fellow Sun Devil peers. The Office of American Indian Initiatives (OAII) was created to serve as the liaison between Arizona State University and the 22 federally recognized Arizona Tribal nations and their citizens. The OAII works to serve as the voice for American Indian and Alaska Natives whether they be students, staff, faculty or representing the tribes themselves. In the fall of 2015, there were approximately 2,600 enrolled American Indian and Alaska Native undergraduate and graduate students on all of the ASU campuses. This is the highest number of student enrollment to date. With enrollment numbers increasing every year, it is important that these students’ needs are addressed and the Office of American Indian Initiatives works closely with other departments to ensure that resources are available to ensure their academic success.